MLA (1878-1879), MLA (1879-1883), MLA (1883-1886). Born at St. Boniface on 28 January 1855, third son of Alexis Goulet of St. Boniface, he was educated at the St. Boniface College before spending five years in the service of the Hudson’s Bay Company. On 1 July 1873, he married Elise Genthon (1854-? ), daughter of Joseph Genthon of St. Boniface, with whom he had fourteen children, including Olive Goulet (1878-? ), Guillillemine Goulet (1879-? ), Emma Goulet (1881-? ), May Goulet (1886-? ), Marie Julienne Georgeline Goulet (1887-? ), Leon Joseph Robert Goulet (1890-? ), Josephine Goulet (1892-? ), Anne Goulet (1895-? ), Alfred Goulet (1897-? ), and Elziar Goulet (1899-?). 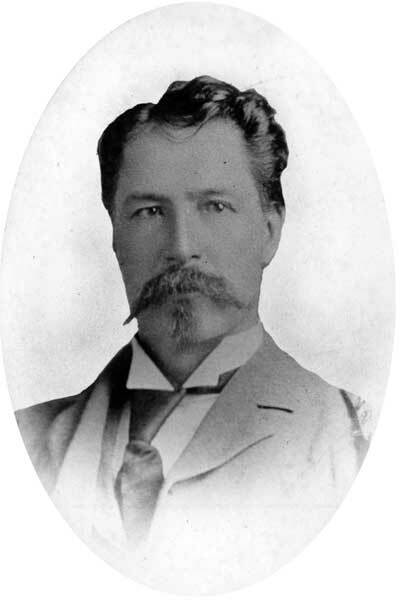 In December 1878, he was elected to the Manitoba Legislature, re-elected in 1879, becoming Minister of Agriculture in January 1880. He was re-elected in the 1883 general election. In later years, he worked in the land department of the federal government. He died at his Winnipeg home on 17 January 1932 and was buried in St. Mary’s Cemetery. He is commemorated by Goulet Street in Winnipeg. “Hon. Maxime Goulet, former M.L.A., dies,” Winnipeg Free Press, 18 January 1932, page 1. “Funeral of Maxime Goulet to be held this morning,” Winnipeg Free Press, 20 January 1932, page 2.